I'm not a big fan of magic/sorcery focused stories. I didn't care for Charmed, never bothered with The Craft, Dr. Strange couldn't keep my interest even when I was in my staunchest Marvel period, and I could never be bothered with Dr. Fate. I think it always boiled down to the lack of "rules" -- they're never very well defined and writers often just whip out a deus ex machina spell to get the hero out of whatever predicament they're in. "Oh, I happen to know a spell that will solve this exact problem!" Always seems like a cheap way out of any storytelling element. 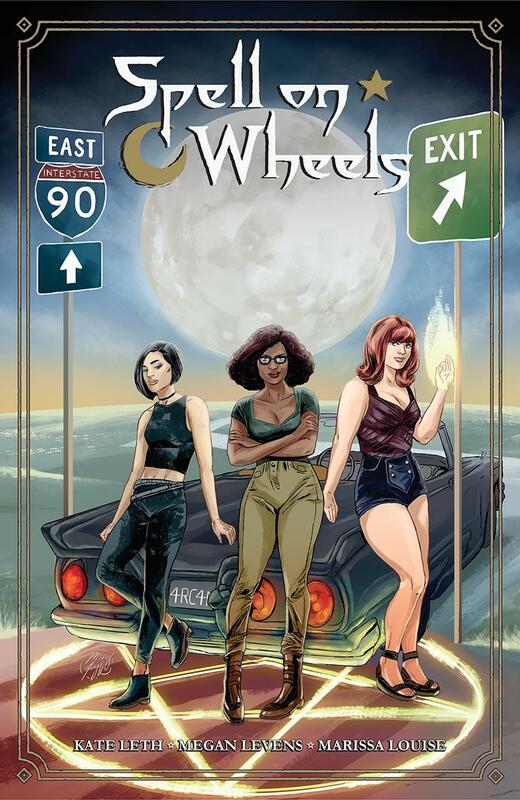 That being said, I actually had my interest piqued when I saw Dark Horse's announcement yesterday about the upcoming Spell on Wheels by Kate Leth and Megan Levens. In the first place, it's Kate Leth. I mean, c'mon! Good stuff is almost guaranteed. In the second place, there's a lot of diversity lined up here, based just on that cover image. Not only do we have three women that seem to be of different racial descents, but they also have three distinctly different body types. Most notably, the redhead (I believe her name is Claire) has some body fat. She's not grossly overweight, but she has a little meat on her bones. Valiant's Faith has gotten a lot of praise for showcasing a decidedly overweight superhero. Which is great, but she's the only character in the series with a weight problem. Everyone else looks like they could've stepped out of any other superhero type comic. 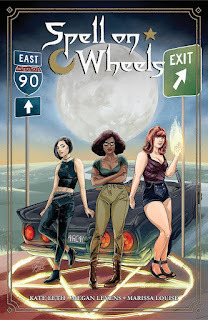 With Spell on Wheel, from what I can tell from this image and the short preview over at The Mary Sue, we have Claire being just being a little more filled out. Again, not really overweight, just a little differently proportioned. And Jolene (the one in all black clothing) is a bit on the skinny side, with Andy somewhere in between. By having three protagonists with three different shapes, that means readers are always looking at diversity even just within the female form. Compare that against your typical Marvel or DC book where the female heroes' bodies are pretty much interchangeable with only the hair and costumes being the only real visual differentiator. But I'll be interested to see these three characters in action. Like I said, I'm not a big fan of the magic angle specifically, but I sure as hell want to support a book that shows that women don't all come in one size and shape!